Beware of Misleading Mattress Advertisements. Home → Mattress Protectors → Danican Waterproof Mattress Protector → Beware of Misleading Mattress Advertisements. Most mattress advertisements have some degree of misleading information. 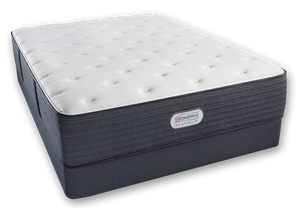 They highlight the positive aspects of the mattress and omit any negative information. Tempurpedic ads are classic in doing this. To listen to them tell it, you’d think memory foam was the best thing since sliced bread. The ads conveniently omit all of the negative information, of which there is plenty. What they don’t tell you is that it’s comprised of 61 different chemicals, some of which, are toxic. They leave out that it sleeps hot…even with that, so-called, cooling gel. They never mention the difficulty of getting out of the deep body impression it creates. And, they don’t mention the difficulty of changing position. They totally left out the horrible smell it has when new and that smell is the dangerous off-gassing of the toxic chemicals they use. They claim it lasts for years…plural. But 2, 3, or even 5 years is more accurate. It’s a lot of money to spend for that short of a life span. And while Tempurpedic is one of the worst at producing forthright ads, I was prompted to write this because of the ads that infest the airwaves of Southern California, where I used to live. There is a large mattress chain store in the L.A. area, hosted by a little troll of a man who ends his TV commercials with promising to beat anyone’s advertised price or your mattress is FREEEEEEEE! It’s insulting enough that he believes there are people out there that might come in to his stores for the chance at a free mattress, but lately, he’s been trying to drum up business by coercing everyone into replacing their mattress if it’s 8 years old. He does this with disgusting ploys…sprinkling on a sponge what it supposed to be dead skin cells, which look like soap flakes, since skin cells are microscopic. He also pours dirty water on that sponge, representing the 25 gallons of perspiration we produce on a yearly basis….according to him. This fear factor coercion to having you buy a new mattress is topped off when he slices open a mattress to reveal a dust mite the size of 3 coils…which is, in fact, a microscopic creature. Just to be clear, the only way that amount of dead skin and perspiration makes it to the mattress, is if you use the mattress without covering it. The great majority of that stuff is absorbed by your linens and mattress pad…finding its way to the laundry and not into the mattress. Even college students who have been known to sleep on a bare mattress, have the sense to do so fully clothed…as I recall. Dust mites are everywhere in your home. They collect on the surface of your mattress and dine on those skin cells. Where they are not, is inside your mattress. Dust mites used to breed in mattresses that were filled with natural fibers, like cotton. The synthetic materials used in most of today’s mattresses is a hostile environment for dust mites. If you are sensitive to dust mites, launder your linens frequently and vacuum the surface of the mattress while you have your mattress stripped. This will keep their numbers to a minimum. Dust might mattress encasement products are a waste of money and a pain to get on and off. If your mattress is 8 years old, you may very well need a new one. The quality of mattresses has declined sharply over the last 15 years. However, if your mattress is older than 10 years, you might want to hang on to it. If all you need is extra comfort, add a couple of inches of soft, all-natural latex. Latex is the highest quality upholstery material available and does a great job of both, providing excellent surface comfort and further extending the life of your mattress. Keeping your mattress clean and dry, will greatly extend the life of the upholstery materials inside your mattress. You can do that with a waterproof mattress protector. The one, we carry, sleeps cool and makes no noises….unlike many other brands. My angst is with these snake oil salesmen, who have learned that they can sell you anything by telling you over and over again that you need it…that you want it. It’s called mass media marketing. But when the message is unrelenting, it’s called brain washing. Mark Twain said, ” It’s easier to fool a person than convince them they’ve been fooled”. The thieves and pirates of the mattress industry do the former. I spend my days doing the later.